It is undoubtedly true that the greatest unacknowledged achievement of the European Union (EU) has been to establish ‘a culture of peace’ within its regional enclosure for the 68 years since 1944. This has meant not only the absence of war in Europe, but also the absence of ‘war talk,’ threats, crises, and sanctions, with the single important exception of the NATO War of 1999 that was part of the fallout from the breakup of former Yugoslavia. This was undertaken by the American-led alliance both to accomplish the de facto independence of Kosovo from Serbian rule, to ensure the post-Cold War viability of NATO, to reinforce the lesson of the Gulf War (1991) that the West could win wars at low costs due to their military superiority, and to rescue Albanian Kosovars from a possible humanitarian catastrophe at the hands of their Serb oppressors. The contrast with the first half of the 20th century is stark when Europe seemed definitely the global cockpit of the war system in the East-West struggle for global supremacy. Millions of soldiers and civilian died in response to the two German attempts by force of arms to gain a bigger role within this European core of West-centric geopolitics. Germany challenged the established order not only by recourse to massive aggressive wars in the form of World War I and II, but also by establishing a diabolical political infrastructure that gave rise in the 1930s to the violently genocidal ideologies of Nazism and fascism. Even during the Cold War decades, Europe was not really at peace, but always at the edge of yet another devastating conflict. For the four decades of the Cold War there existed a constant threat of a war fought with nuclear weapons, a conflict that could have produced totally devastating warfare at any point resulting from provocative American-led deployments of nuclear weapons or inflammatory Soviet interventions in Eastern Europe, or from the periodically tense relations in the divided city of Berlin. Also, to some extent the Soviet Union, with its totalitarian variant of state socialism, was as much European as it was Asian, and thus to a degree the Cold War was being fought within Europe, although its violent dimensions were prudently limited to the global periphery. Despite the current plans to surround Russia with defensive missile systems, supposedly to construct a shield to stop Iranian missiles, there seems little threat of any war being fought within European space, and even a diplomatic confrontation seems improbable at this point. In many respects, the EU culture of peace, although partial and precarious, has been transformative for Europeans even if this most daring post-Westphalia experiment in regional integration and sovereignty has been wrongly assessed almost exclusively from an economistic perspective as measured by trade and investment statistics, and the strength of the Euro and the rate of economic growth. The deep financial crises afflicting its Mediterranean members captures the public imagination without any appreciation of this European contribution to peaceful regional governance. Many foreign policy experts tend to discount this claim of an internally peaceful Europe. First, because it had the benefit of an external Soviet adversary that made a political consensus among European elites appear to be a condition of physical and ideological survival. Secondly, because it could count on the American military presence, hegemonically instrumentalized via NATO, to protect Europe and to soften the edges of any intra-European disagreements. This latter role helps us understand the deployment in Europe of American forces so long after the fighting stopped, even if gradually reduced from troop levels of over 300,000 to the present 50,000. Even this smaller military presence is maintained at high cost to the United States, but it is widely seen in Washington as both a guarantor of peace in Europe and as an expression of America’s global engagement and permanent repudiation of its earlier geopolitical stance toward Europe of what was called ‘isolationism.’ Such a stance was never truly descriptive of American foreign policy, which was almost from its time of independence was expansionist and disposed toward intervention in hemispheric affairs. While I would with some qualifications affirm the European experience with regionalism as a step forward from the perspective of global governance, there are some darker features of European behavior that need to be taken into account. The colonial powers did not give up their empires without a fight. While the EU was emerging from the wreckage of World War II, European powers fought some dirty wars in futile efforts to hold onto their overseas empires in such countries as Malaya, Indonesia, Indochina, and Algeria. In a sense, the European culture of violence toward non-Europeans was taken over by the United States in its almost continuous engagement in counterinsurgency warfare against the peoples and nations of the South, a mode of one-sided warfare that reached its climax during the Cold War in Vietnam and has risen to alarming levels of destructiveness in Afghanistan and Iraq. Iran is the poster child of such separation of Europe as a zone of peace and the Islamic world as a zone of war. It is notable that the threats to attack Iran in the coming months and the imposition of four stages of crippling sanctions are premised on the unacceptability of Iran’s nuclear program, which is allegedly moving close to the threshold of nuclear weaponry. It could certainly be doubted whether, if Iran was intent on acquiring nuclear weapons and thereby violating its pledge under the Nuclear Nonproliferation Treaty, it would be grounds for recourse to force. If the issue were to be more reasonably contextualized, it would make us more aware of the relevance of Israel’s stealth acquisition and development of nuclear weapons, accumulating an arsenal estimated to exceed 300 warheads. The exclusions of geopolitical discourse, facilitated by a compliant media, allow Israel to lead the charge against Iran’s supposed quest for nuclear weapons without even an acknowledgement that in light of the overall realities, the most prudent and equitable approach would be for all states in the region to unconditionally renounce their intention to acquire or possess this infernal weaponry of mass destruction. What is striking here is the dedication by the West to sustain by relying on its military superiority the colonial hierarchy of North/South relations in the post-colonial world order. The state system has been universalized since 1945, but the countries of the North, under American leadership, have continuously intervened to promote Western interests at the cost of millions of lives, first as an aspect of worldwide anti-Soviet and anti-Chinese geopolitics, and more recently, to secure oil reserves and to counter Islamic political moves to control national governance structures, as in Afghanistan. 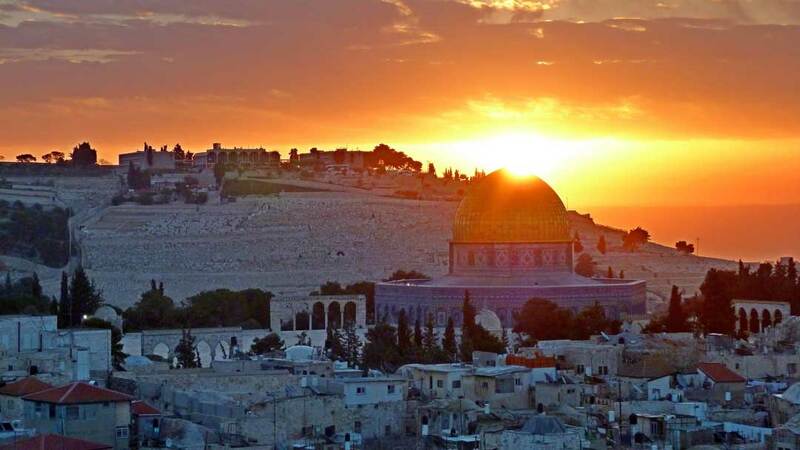 The West no longer seeks to fly its flag over the governmental buildings of non-Western countries, but it as hungry as ever for their resources, as well as to ensure receptivity to Western foreign investment and trade interests. Whether to slay the dragons of Communism or Islam, or to satisfy the bloodthirsty appetites of liberal internationalists that champion ‘humanitarian interventions,’ the dogs of war are still howling in the West. The doctrinal masks of law and a UN mandate obscure the realities of aggressive war making, but should not be allowed to deceive those genuinely dedicated to a peaceful and just world. 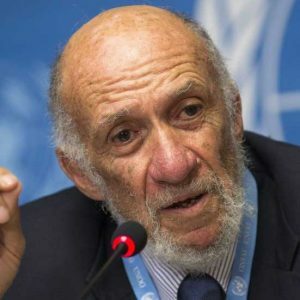 For one thing, we should not be fooled by belligerent governments relying on legitimizing imprimatur of the Responsibility to Protect—R2P—norm, as in Libya or Syria, to mount their military operations, while at the same time adhering to a non-interventionary ethos when it comes to Gaza, Kashmir, Chechnya, Kurdistan, Tibet, etc. Of course, consistency is not the whole story, but it does penetrate the thick haze of geopolitical hypocrisy. More basic is the renunciation of violent geopolitics and reliance for social and political change on the dynamics of self-determination. Let us appreciate the biggest successes in the Arab Spring took place where the uprising were essentially non-violent and there was minimal external interference, and the most dubious outcomes have occurred where the anti-regime movement was violent and received decisive military assistance from without. 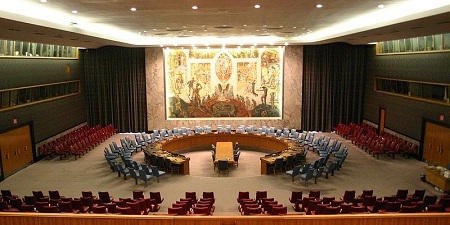 Unfortunately, despite the complexities involved, we cannot count on the United Nations partly because the veto creates a possibility to preclude appropriate responses (as in relation to Israeli abuses of Palestinians) or its failure to be used due to geopolitical pressures authorizes essentially unlawful warfare (as in relation to the Libyan intervention where opponents abstained rather than block military action). True, the UN can sometimes withhold its certification for aggression, as it did in 2003 when it rejected the American appeal for a mandate to invade and occupy Iraq, but even then it stood aside when the aggression took place, and even entered Iraq to take part in consolidating the outcome of the unlawful attacks. The UN can be useful in certain peacemaking and peacekeeping settings, but when it comes to war prevention it has lost credibility because tied too closely to the lingering dominance of Western geopolitics.